Playing on a game court from Sport Court will aid in avoiding many injuries and help ensure minimal interruptions to an athlete's champion journey. You can decrease the risk of your future champion spraining their ankle by choosing Sport Court game court surfacing to play their favorite sport on. Our game courts offer better preventative features than any other court. 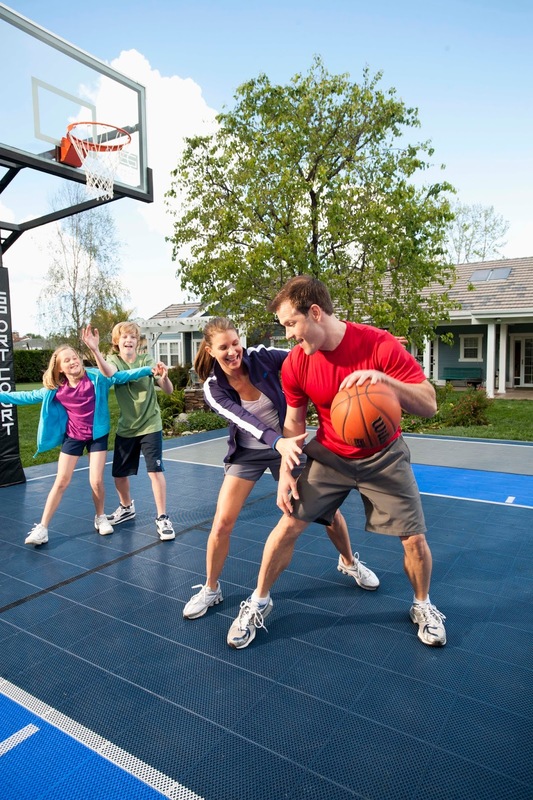 Sport Court's products are engineered with patented technology that allows for safe play and Lateral Forgiveness that helps minimize any stress on your knees and joints. Our champion courts are built with technology that helps reduce the risk of concussions, joint pain, scrapes, and other wear and tear to athlete's bodies. On average, and estimated 1 to 4 million concussions occur every year, and sprained ankles can have long lasting effects. Be safe while playing the game you enjoy by displaying your amazing footwork on a court that was built with safety in mind. Sport Court game courts guarantee outstanding ball bounce with 2 to 3 times the shock absorption than any other outdoor court system. Get your champions playing on the court that was made with their safety in mind today!